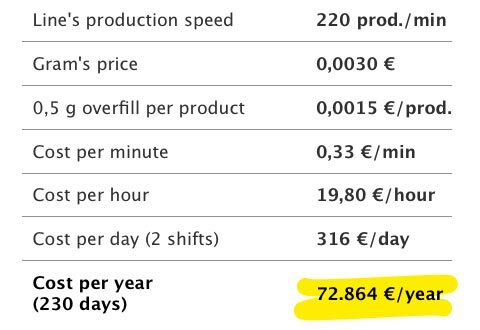 72.864 € a year just because of 0.5 more grams. It's just not worth it. That's why we don't guess the real weight, we really measure it. and the National Italian Certification. So that you don't have to worry. 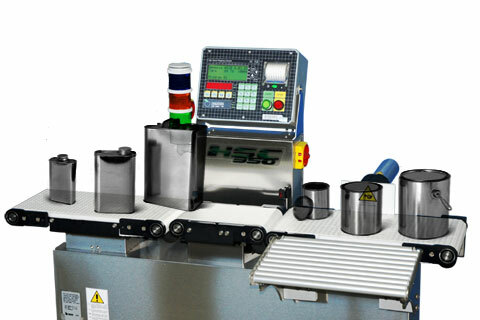 The same checkweigher immediately works with any new product regardless of the shape, weight or speed. So that no one will ever forget to tare. Troubles happen – how companies deal with troubles is what sets apart the great ones from the other ones. You can also count on a global network of Nemesis' partners ready to assist you anytime. We have developed semi standard lines that are able to adapt to your needs and not viceversa. Hundreds of combinations ready to serve you.